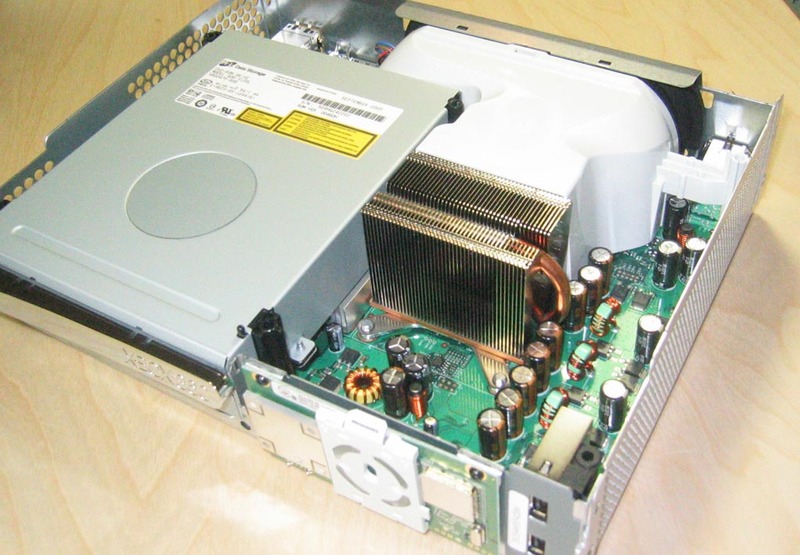 What's so special about the X-Box? 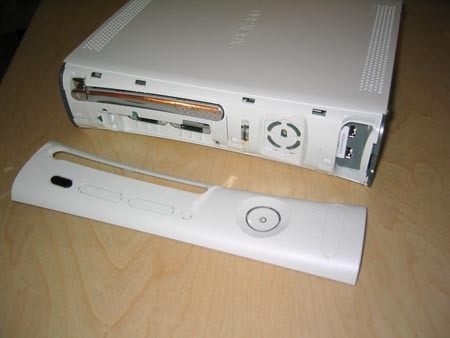 Start by disconnecting all the cables and lay the Xbox 360 on it's side. 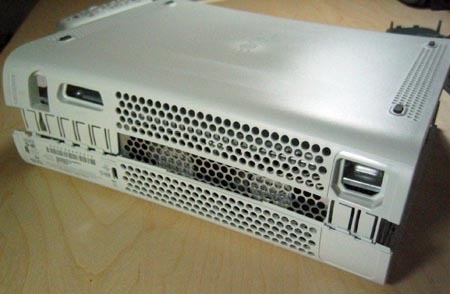 Take a look at the front of the Xbox 360 and insert your thumb into the door that covers the two USB ports on the right of the unit. With your other hand squeezing the upper and lower sides of the face plate, pull out the face plate with your thumb. With not much force, the face plate should pop right off. 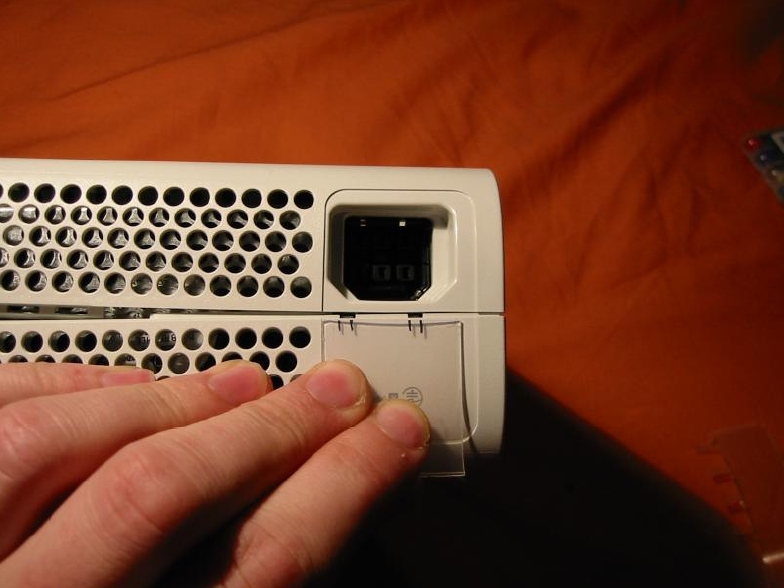 With some care, gently bend outwards, the right gray ventilation shield on the right side of the unit so that you can see a bit inside. You will notice that the gray side piece attaches to both the bottom and top white chassis. 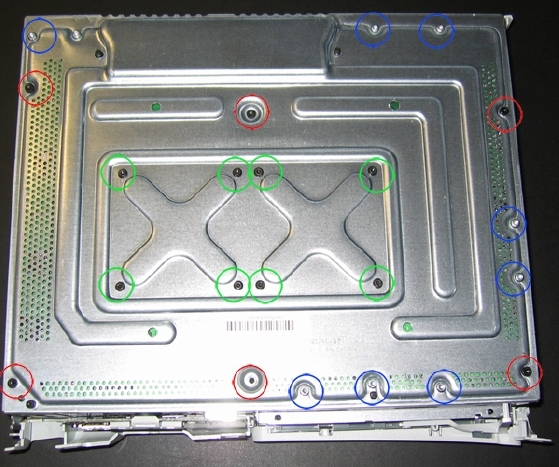 Now look through the holes on top of the unit to locate the areas where the gray side pieces attaches to the white body. 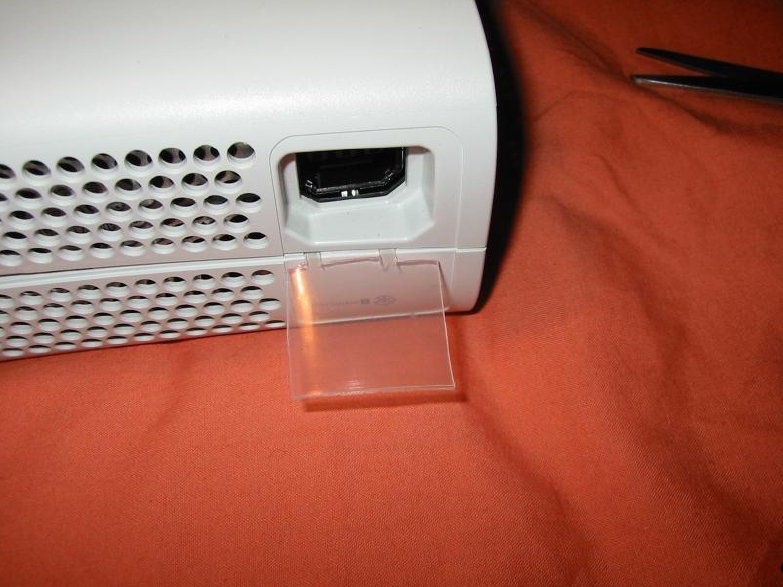 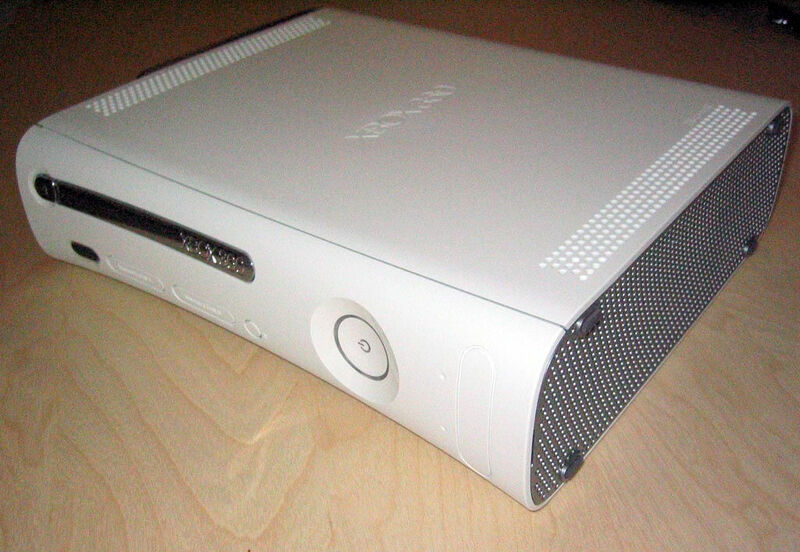 What you need to do is take a long thin object and push down through the white holes (located on both the top and bottom of the Xbox 360) where the clips of the gray side pieces connect. 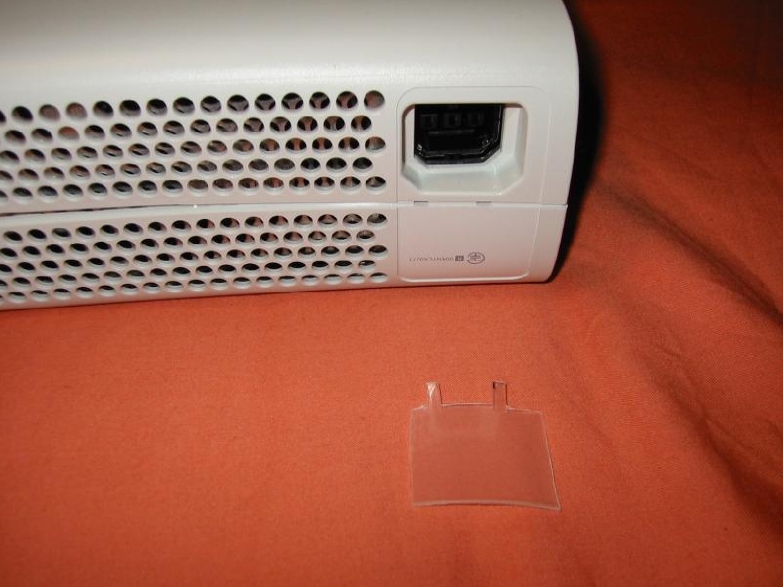 Slowly pull out the gray pieces away from the unit while unlocking the clips and eventually the gray piece will release itself. 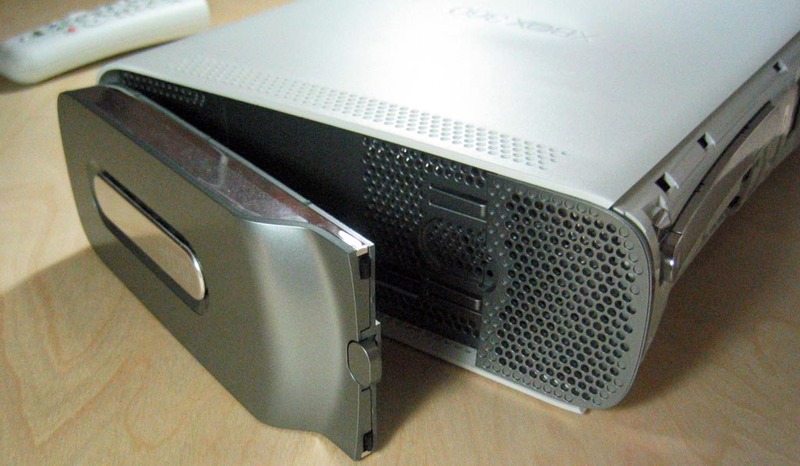 To remove the left gray piece, you must first remove the hard drive unit by pressing the button located on the unit itself. Then apply the same procedure used to remove the right gray ventilation piece but when you reach the bottom clip of the piece, you must remove the rubber feet located directly below, to reveal a hole where you can insert a long thin object as you did in the last step. 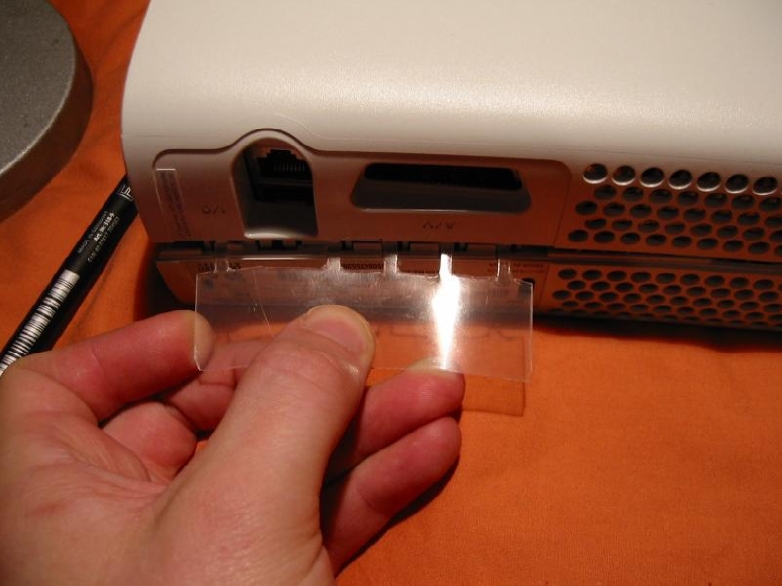 For this next step you have two options the first is to ignore the references to the plastic keys and just use a small thin screwdriver to release the snaps holding the shell or follow the preferred method which requires a couple of pieces of plastic that is stiff enough to act as a key to release the snaps. 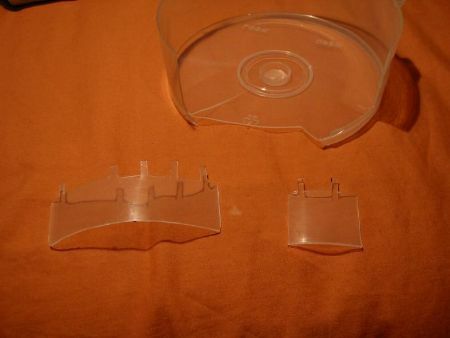 The plastic dome cover that comes with most CD's/DVD's is a perfect choice. 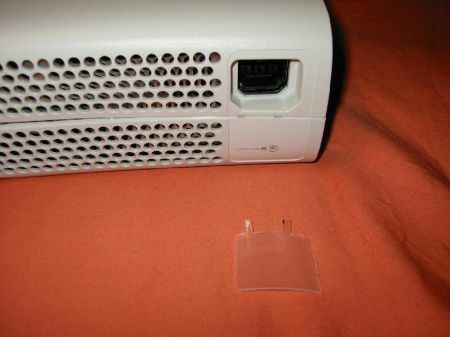 The finished key should look something like the one in the photo below. total versus the 2 tabs for the first key we made. Once the key is made simply push it firmly into the slots until you hear the snaps release now separate the case halves slightly and use the key as a wedge to prevent them from reattaching while working on the top of the Xbox 360. Repeat the procedure with the remaining key and all 7 snaps should now be released. 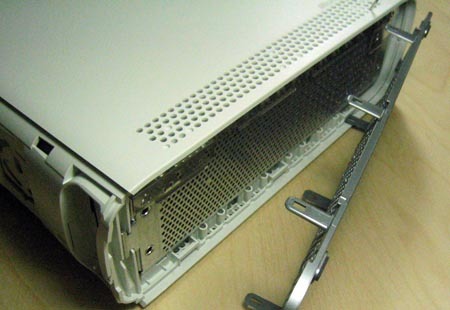 to avoid any latches from reattaching. 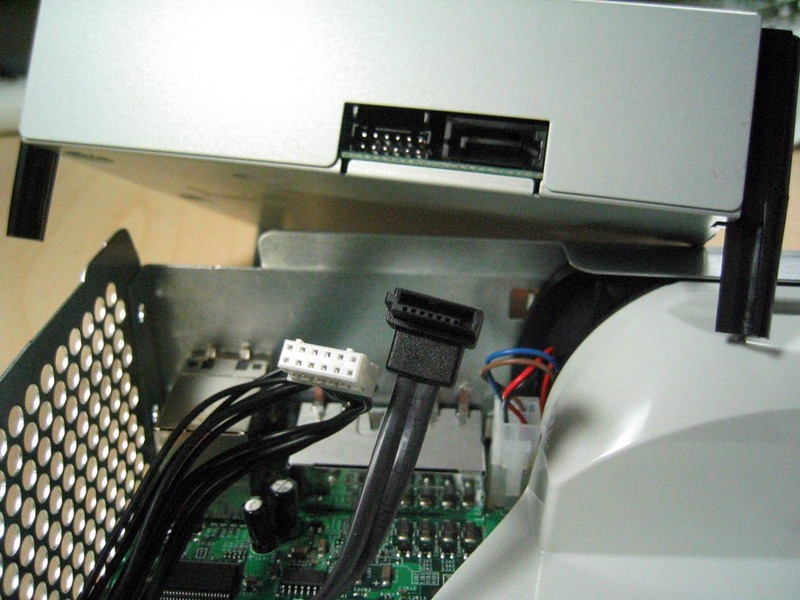 Last step removal of the DVD-drive, simply hold the drive and lift up. You will notice that the Xbox 360's DVD drive uses a Serial ATA (SATA) interface and we will need to connect the PC's SATA cable to the drive while leaving the Xbox 360 power cable attached.